Komolika said that Prerna will be subjected to severe torture and she will scream out of pain, but there won’t be anyone to hear her. Veena consoles Shivani and gives her the strength to get rid of that worthless man, Ronit. Veena says that she will visit Aryan’s house tomorrow and will talk to them. Nivedita and Komolika are convincing Mohini for celebrating a party. Anupam calls Shivani and informs her that the police had arrested Prerna. Veena also gets to know it. Veena runs with Shekhar to take Prerna. Komolika is decorating her room. Anupam was finding Anurag in the room and Komolika asks him to come inside. Komolika taunts Anupam that why does he look so upset? Komolika says that his dear Prerna has gone to jail. Anupam says that she can tell a lie in the party, but no one can change the truth. Komolika asks him to get out and he leaves from there. Komolika calms her down thinking that it is her nuptial night today. Anurag comes to meet Prerna and apologizes to her. Prerna says that she doesn’t even want to see his face. Prerna says that first he made a mockery of her love in front of everyone and now declared their marriage fake. Prerna says that who gave him the right to trouble her parents. Anurag holds Prerna and says that he loves her very much. Anurag says that he is in so much love that he is ready to let go of his happiness and sacrifice everything for her. Anurag says that he will tell her everything today. The inspector looks at Anurag and asks him about his presence here. Anurag says that he came to see Prerna and he will stay with her because she is his wife. The inspector says that he told something else before. Anurag says that it was just a lie and now he is telling the truth that Prerna is his wife. The priest also comes there and Anurag says everything to the inspector. The inspector asks the priest about everything and goes to write his statement. Prerna asks Anurag that what is he doing? Anurag says that he will reveal everything to her now. Anurag hugs Prerna and says that he will tell everything. Komolika comes there and claps saying that how dare he ditch her? Komolika says that no one could betray her. Anurag says that now it is enough and she is not his wife. Komolika says that he forgets the deal between them. Komolika says that now, she will throw out both of their families and also Moloy Basu. Komolika says that the hospital where his dad is admitted have all her people who are the doctors and nurses. Komolika says that she will make a call and ask them to give a deadly injection to his dad. 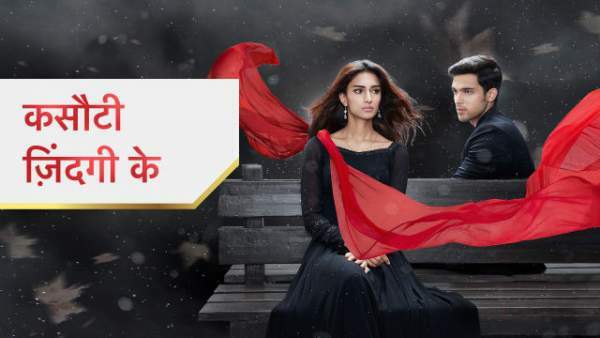 Komolika says that she will even kill Prerna. Anurag holds Komolika and says that if she says anything wrong for her and his family, then he swears he will kill her. Precap: Prerna says that she has applied Anurag’s vermilion as she is his wife! Prerna says that she is with Anurag for seven lifetimes and no one could separate them!